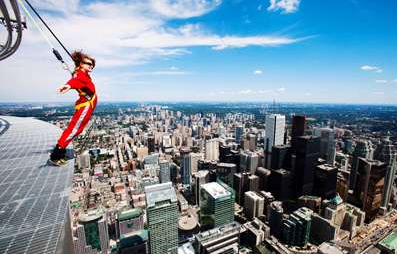 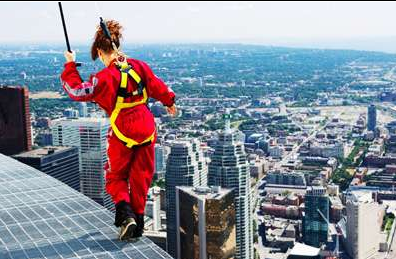 Two of Media Reporters bend over 1,168 feet over Toronto's downtown. 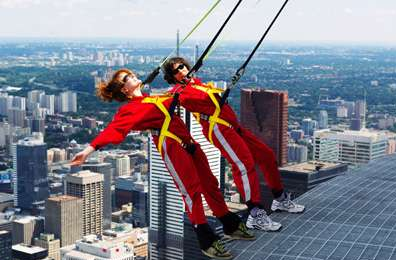 And doing catwalk over the frame during media preview for the Edge Walk on CN Tower. 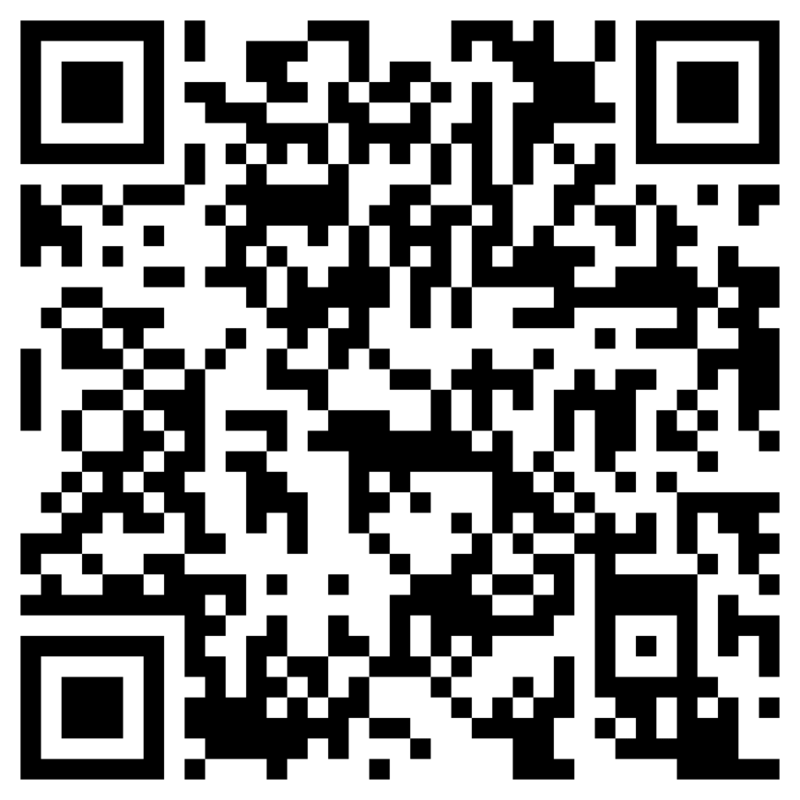 Here you can see some picture.